The restoration of the nave was completed in September 2004, and this church is still a striking building designed by Sir Nicholas Hawksmoor with a particularly tall, pointed spire. The restoration of the nave was completed in September 2004, and this church is still a striking building designed by Sir Nicholas Hawksmoor with a particularly tall, pointed spire. 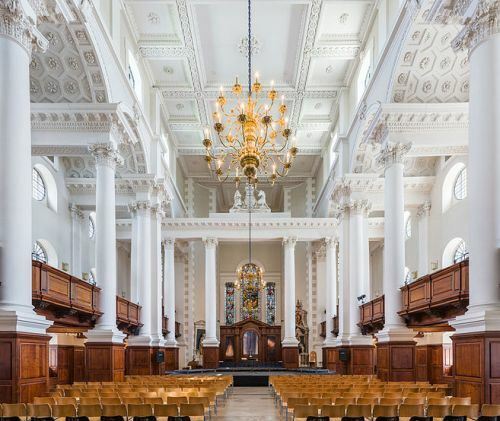 Hawksmoor's design was significantly altered in the 19th century, and present continuing restoration is intended to restore it to Hawksmoor's original vision. Christ Church was built as part of the 50 Churches for London project.